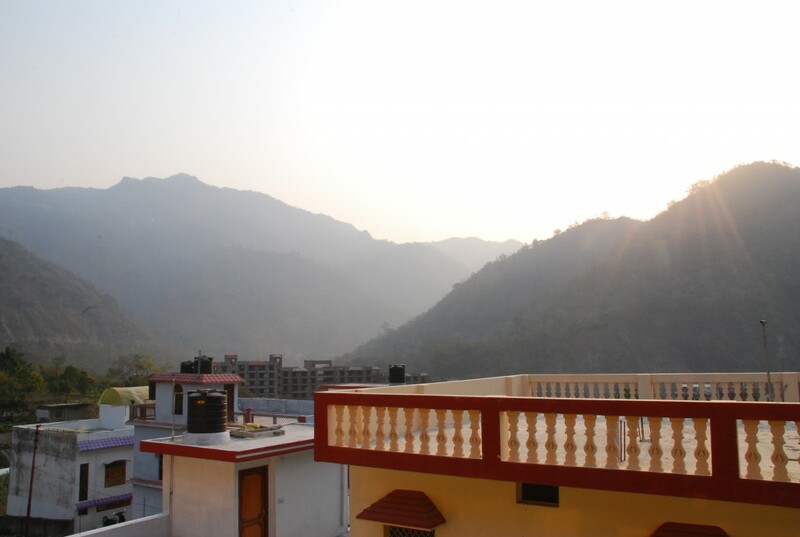 As I sit writing this on the balcony of my room at the Anand Prakash Yoga Ashram in Rishikesh, India, the melodious sound of people singing kirtan (devotional songs and chants) floats up from the yoga hall below. From here, I have a breath-taking view of the imposing foothills of the Himalayas and I can feel the invigorating mountain air as it sweeps into this serene valley, through which the jewel-green Ganga (Ganges) River flows. 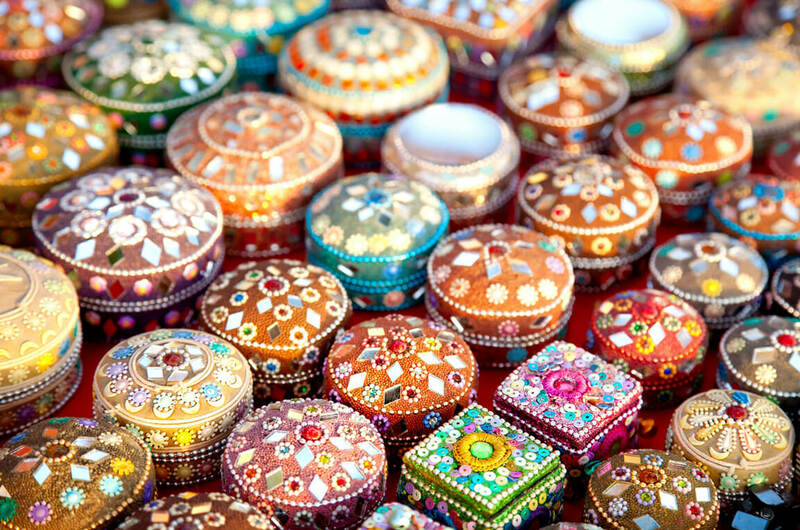 It is easy to see why legend refers to the Himalaya range as Dev Bhoomi, land of the gods. 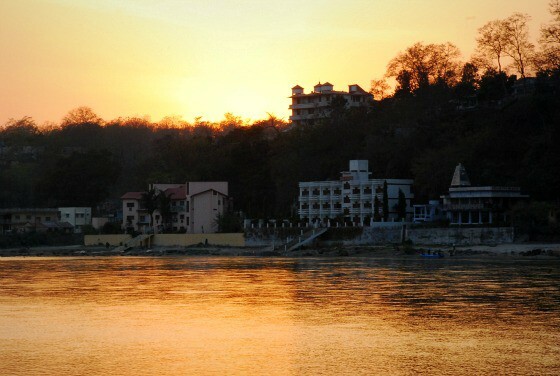 Rishikesh is a small and relatively (by Indian standards) peaceful town that meanders along the narrow valley on both sides of the Ganga, connected by two impressive suspension bridges, Laxman Jhula and Ram Jhula, which are open for pedestrian traffic, bicycles and motorcycles only. Seers – rishis – and sages have been gathering here, at this picturesque spot on the Ganges, since before recorded history to prayer, chant and meditate. Indian pilgrims and foreign yoga students alike flock here to stay in one of the town’s many ashrams and soak up the devotional vibes. 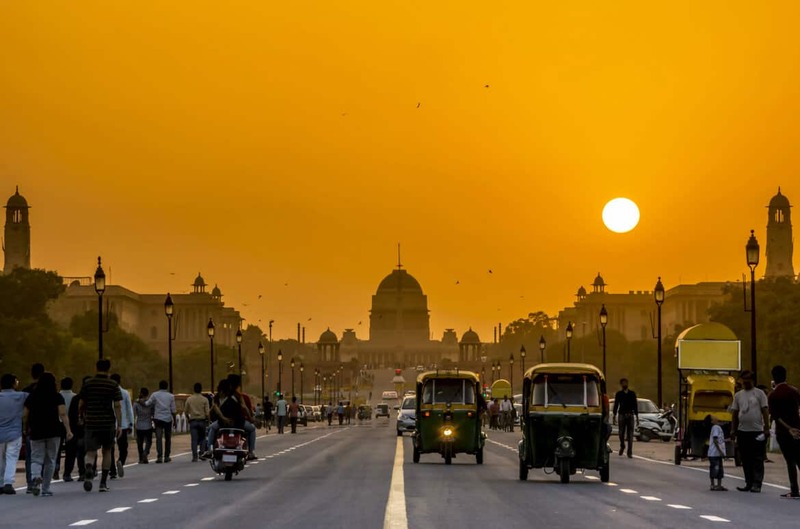 It is often referred to as the yoga capital of the world. For me, the highlight of staying at Anand Prakash is the 6 a.m. yoga class with Vishva in the rooftop yoga hall. As we move, chant and meditate under the guidance of this bliss-master (Vishva is the happiest person I have ever met! ), the sun rises from behind the mountains and bathes the room in a golden glow. The first time I visited Aurovalley Ashram, about 10 kilometres south of Rishikesh, I took a short nap soon after arriving and fell into the most restful sleep of my life. I felt the profoundly peaceful energy of this garden ashram almost immediately and knew it was my spiritual home. Several hand-painted signs on the ashram grounds proclaim, “All life is yoga.” This is the philosophy of Sri Aurobindo, one of the great Indian thinkers of the 20th century, reduced to its essence. Aurovalley was founded 30 years ago by Swami Brahmdev (Swamiji), a disciple of Sri Aurobindo and The Mother’s teachings. It is a garden ashram, surrounded immediately by meadows and, in the distance, by the mist-covered hills of Rajaji National Park. Nature is ever-present at Aurovalley in the form of fragrant tropical flowers, fluttering butterflies, colourful songbirds, fruit-laden trees, gardens and glorious sunsets. Regular visitors extol the ashram’s healing benefits. The International Sivananda Yoga Vedanta Centers is a nonprofit organization founded by Swami Vishnu-devananda. 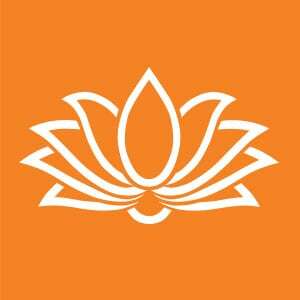 He established the first Sivananda Yoga Vedanta Center in Montreal, Canada, in 1959 and there are now close to 80 Sivananda ashrams and yoga centres around the world. Mani Chaitanya, director of the Sivananda centre in New Delhi is a tall, slim soft-spoken man who chooses his words very carefully. The Sivananda centre is an oasis of calm in a very hectic city, and it is where I practice yoga when I am in New Delhi. Sivananda is a worldwide network, a gateway to yoga for westerners, and the same method is followed in all locations. One its main attractions is that the ashrams are located in peaceful places, away from city life. The Neyyar Dam location in Kerala, south India, for example, is set in a lush tropical paradise surrounded by sacred mountains. 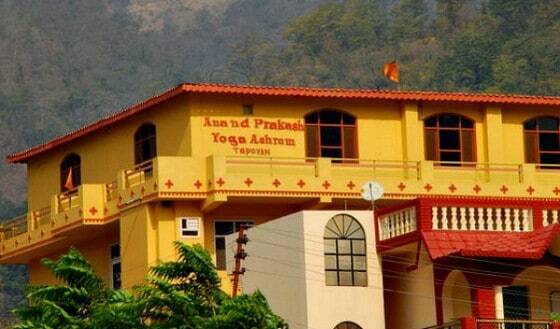 The ashram offers yoga holidays as well as various levels of teacher training programs. 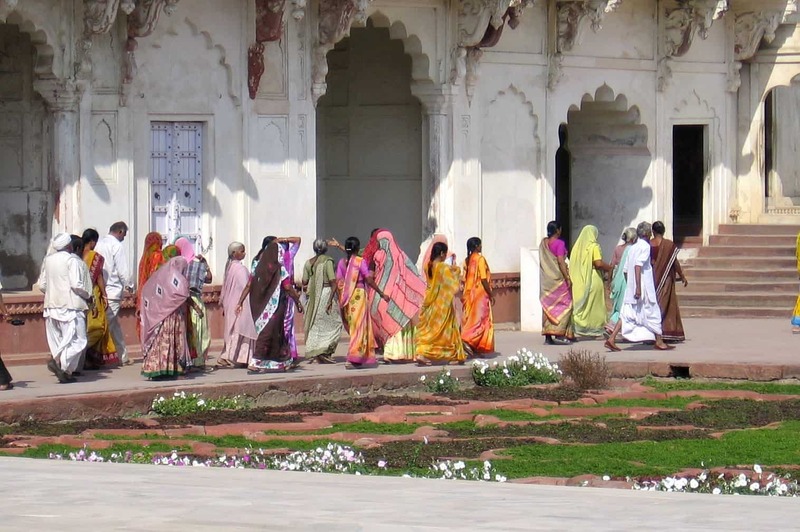 Many people come from all over the world to study and practice yoga in India. And while there are countless methods and styles; teachers and ashrams, they are all streams leading to and from the same ocean of yogic wisdom. 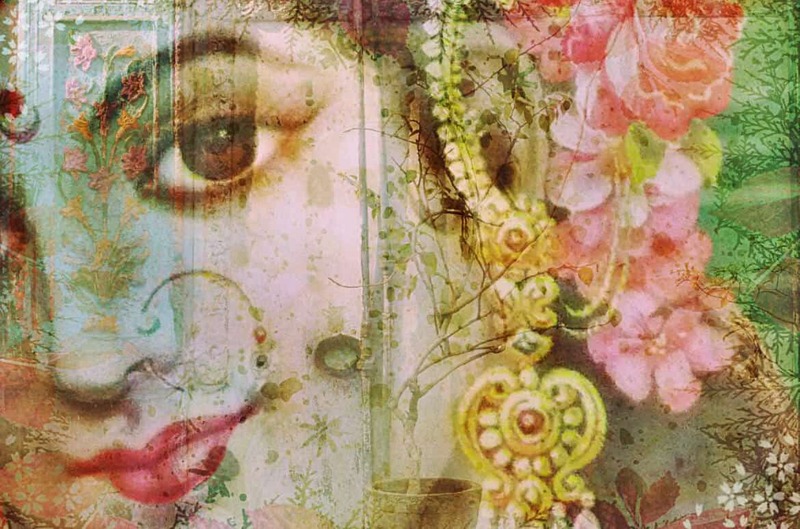 Navjeet Kaur Mackie is a yoga teacher from Mississauga, currently living in Nova Scotia. She studied yoga in North America before heading off to India in 2007 to deepen her practice and understanding of this ancient tradition.